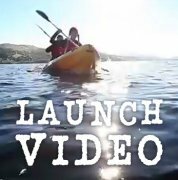 Bala Watersports offers the adventure and excitement of outdoor pursuits, to individuals, families, schools and groups. Our highly skilled and qualified instructors will ensure you have a fantastic time, whether you're a complete beginner, have some limited experience, or are on a more advanced course. We have a wide range of activities on offer, including canoeing/kayaking, climbing/abseiling, windsurfing, sailing, archery, camp craft, raft building, mountain biking, powerboating, hill walking, gorge walking, and whitewater rafting. Here in Bala, North Wales, we've got beautiful mountain scenery, a stunning National Park, and arguably the best beginners' and improvers' watersports lake in the UK. Throw in great value for money, and the warm and friendly atmosphere of a family-run business, and you're set for a wonderful time. Come and join in the adventure with us! From gushing white water to gentle river journeys, North Wales has got it all. Whether you're improving your personal canoeing skills, or chasing qualifications, we have the right canoeing and kayaking course for you. We can offer you craggy mountains or sheer slate walls to climb and abseil. We teach every level, from beginner to Spider-Man! Come and learn (or improve) your skills in Snowdonia - the birthplace of modern rock climbing! "Once more unto the breach, dear friends..." The Welsh archers were feared in Agincourt, so conjure up their spirit as you do battle with our targets. Our archery sessions are great fun, providing a sense of real achievement, with a dash of healthy competition! Whether it's a strenuous forestry single-track or a rollercoaster of glorious downhills and jaw-dropping views of our lake, we have it all! By the end of your mountain biking course, we'll have you dancing on the pedals and wishing that you lived here in North Wales! An exhilarating windsurfing session is just the thing to blow the cobwebs away, as you zip across the water at high speeds. Whether this will be your first time in a harness, or you're looking to gybe again like you did last summer, we have the windsurfing course for you. 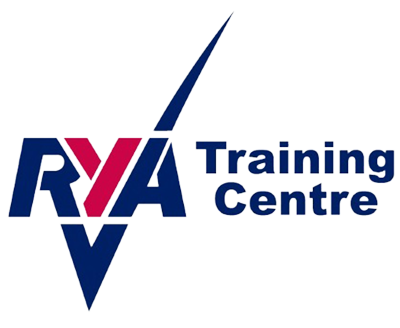 Half day sailing tasters, RYA levels 1 and 2, seamanship skills, navigation and safety instruction, day skipper or boat-related first aid. Bala Watersports offers the full sailing package, in a stunning location with predictable winds. Gorge walking, also known as canyoning, involves abseiling down waterfalls, plunging into deep pools, bum-sliding down fast-flowing torrents, traversing slippery wet rock and experiencing the beauty of Welsh rivers. It's an experience you won't soon forget!